We've all been there, wondering how to keep your child entertained whilst they're off school over the holidays, at the weekends or even after school. 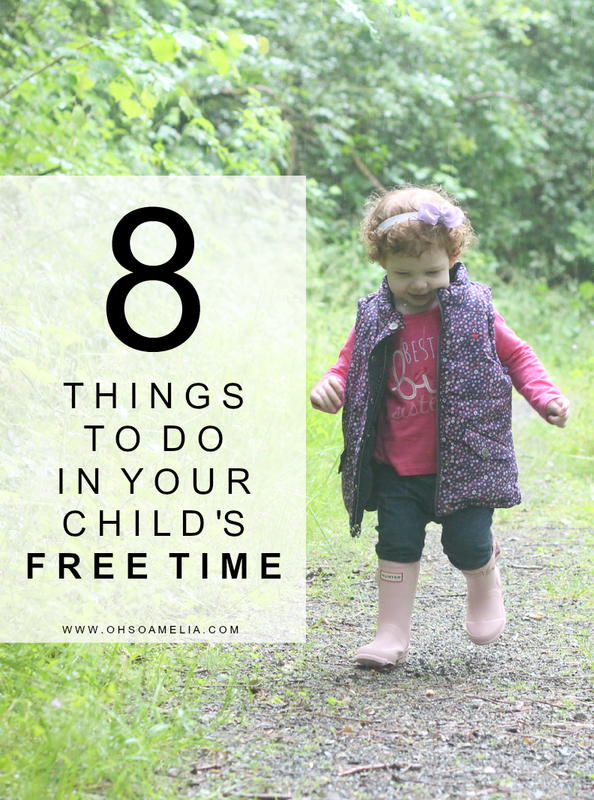 To make the most out of your child's free time here are 8 things for them to do aside from getting outdoors, playing at the park or doing some craft activities. Kids love cooking especially baking cakes, making biscuits or pizza because they can play with the dough and also eat the ingredients as they cook. Having lots of ingredients to choose from when making a pizza and letting your kids choose their own is a great way to get them to not be so fussy and they get the great sense of achievement from making something themselves which they are then eating. Depending on their age, there are plenty of ways for youngsters to contribute to your community. For example, many towns or villages have gardening clubs which spruce up public spaces such as local parks and community halls. Toddlers can help pull up weeks and older kids can help to plant seeds and bulbs. Other options are to help out are at an animal rescue organisation, elderly retirement homes or even litter picking along the beach. All kids love to play in the dirt, so gardening is the perfect activity especially for warm weather. Along with having fun playing your child will learn valuable lessons about being patient as they wait for flowers and plants to grow. Set aside a little plot of them which you don't mind them experimenting with, allow them to grow vegetables and plants and let them see what happens! It's also a great way of getting them outdoors in the fresh air rather than sat indoors on the xbox! Want to keep your kids education up over the holidays or perhaps they need an extra little tuition after school, hiring a private tutor such as Fleet Tutors can be hugely beneficial! Many tutors cater for reception class right through to A levels and in a range of various subjects. If your child is falling behind on one topic in particular this can be a great way to get your child up to speed with the rest of the class. By joining your local library your child will have access to thousands of books for free. Children as young as babies can join so it's always good to get a card to get them into reading from an early age. You could set your child a challenge to read a book or two a week and then take it back each week to choose another. Its easier than you thought teaching your child about astronomy, you don't need to buy expensive equipment and can find cheap telescopes which do the job. Many parents don't like to teach their child astronomy and put it off so they can learn it at school, when in fact you can teach them quite a bit. There are many ways to explore the nighttime sky without any equipment at all. You could also read some books about the moon and stars. Plan out a treasure hunt for your child to complete, you can use what ever items you have lying around the house and be as creative as you wish. Draw it up on a map with directions and clues and then watch your child try to work it out. You could even hide the map somewhere in the house first and let them find it. This will get them to use their team work skills if doing it along side another child, and also improve their geography skills. Whether it be kick boxing, swimming or guitar lessons having an after school activity is great for your child to meet new friends, improve their learning and build confidence. You can find out about many activities from your school, speaking to other parents or even on local Facebook groups. This is a great way for your child to spend their leisure time rather than parked in front of the television or playing video games. Encourage your child to try a variety of after-school activities, they may not like one so try another instead until they find something they love. If you're still stuck for ideas for things to do in your child's free time how about browsing Pinterest for some ideas! What does your child like doing when they're not at nursery or school?